View more presentations from Joe Fahs. The iPod was designed as a portable music player for entertainment, but has evolved into an effective educational tool. iPods equipped with snap-in recorders enable learners to record lectures, maintain audio diaries, conduct live interviews, and practice speaking skills. Such audio recordings combined with Podcasts, audiobooks, and music are especially suitable for the teaching and learning of languages. 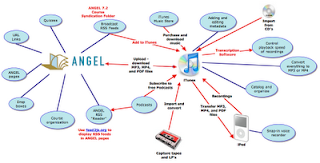 This session demonstrates how to engage students in interactive language learning using these audio technologies and the ANGEL learning management system (concepts also apply to other systems such as WebCT and Blackboard). 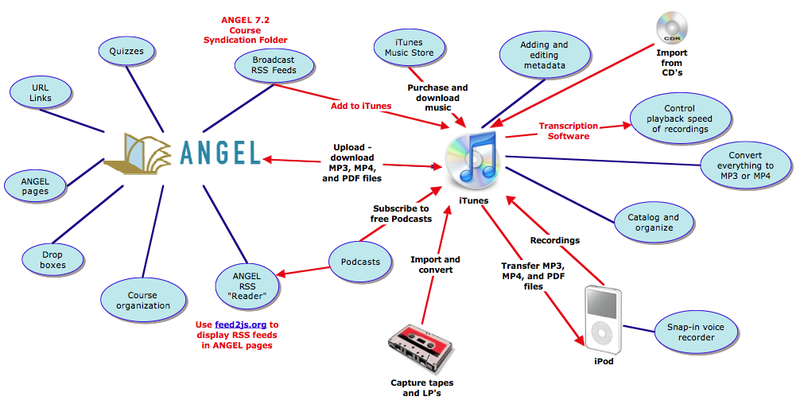 Included in the presentation are methods to organize MP3 audio files for transfer and linking between iPods, iTunes and ANGEL courses, although a MP3 player is not required. A handout with illustrated examples is available for attendees.